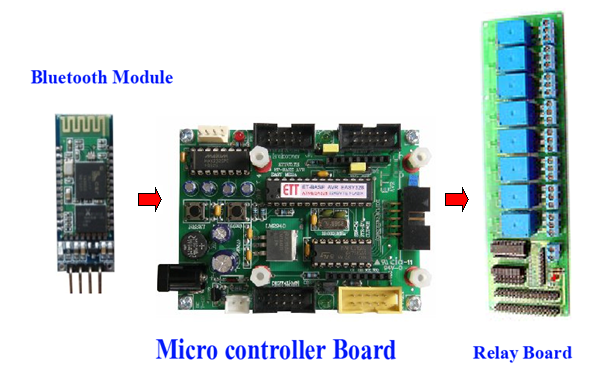 Android Bluetooth Control Device Application allows you to control various electrical devices up to 8 devices and independently. Use your Android phone's Bluetooth to remote control your devices with Bluetooth Receiver hardware Device. 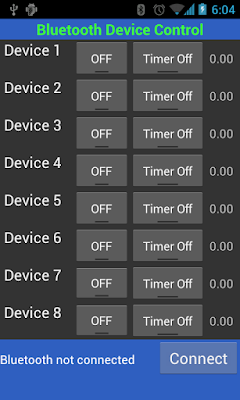 - you can control up to 8 devices. 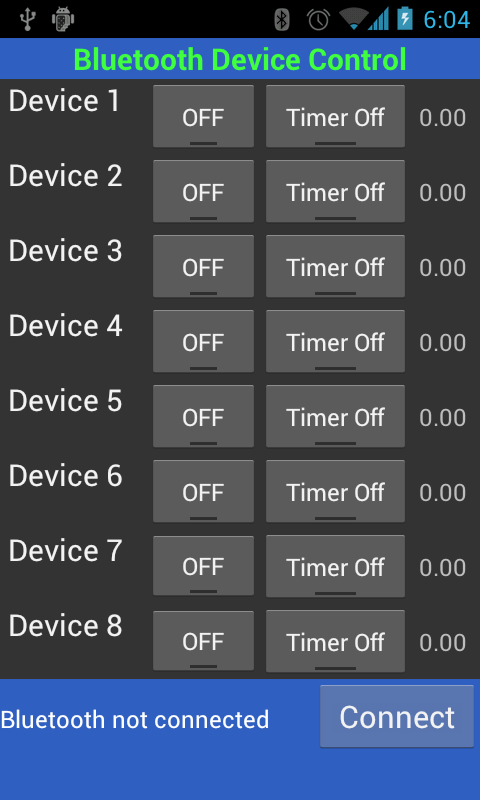 - Can set Timer to switch ON / OFF the device and show the time. (the timer can be set to 1 minute, 15 minutes, 30 minutes, 1 hour, 2 hours, 4 hours). - Can be used with Receiving device. Designed for the Android version 4 and a screen resolution of 480 x 800 (WVGA). A test transmission via Bluetooth. 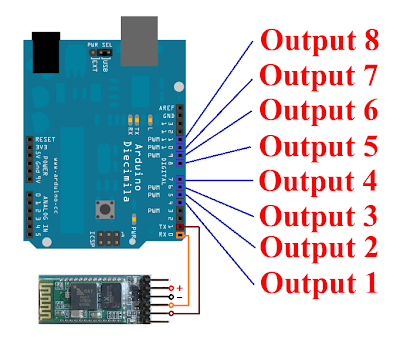 Hi we are APG crew , you are welcome in our blog , we promise you that we will guide you through your journey in arduino programming with a lot of tutorials and support. 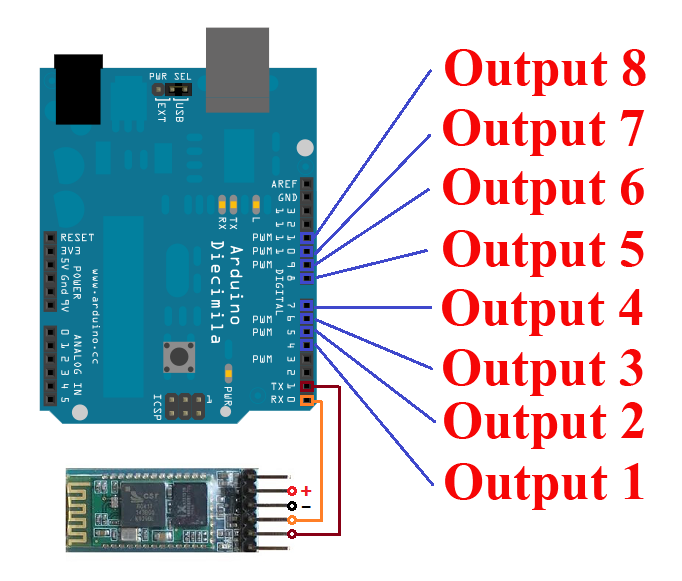 we will provide you the best deals to get arduino modules with a low price so stay tuned and share our blog with your friends .